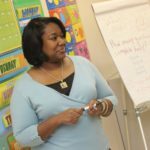 To honor individuals who are making a difference in students’ lives by being a substitute teacher, and in celebration of National Substitute Teacher Appreciation Week in May, Swing Education is launching the Substitute Teacher Hall of Fame. The inaugural class will include three educators and will be announced in May, 2019. 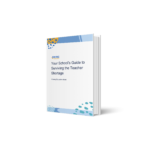 Nominate a substitute teacher by clicking the button below, or simply scroll down and fill out the form on the bottom of this page. 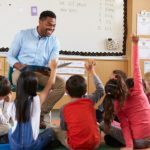 To recognize the impact substitute teachers make for K-12 students across the country, Swing Education is launching the Substitute Teacher Hall of Fame.  Each May, the Hall of Fame will enshrine three of the nation's top substitute teachers, bringing awareness to standout educators and the vital role substitute teachers play in student success. Students, parents, and current/former educators (including substitute teachers) can submit nominations. Nominations must be submitted online by April 26, 2019 at 11:59:59 PM EDT to be considered. The judges' decisions are final. The winning entries will be displayed on this website on or about May 6, 2019. All decisions by the sponsor are final and binding. Upon receipt, all submissions become the property of Swing Education. Submissions will not be returned. Only online submissions will be accepted. Contact HOF@swingeducation.com with any questions. Inductees into the Substitute Teacher Hall of Fame will receive a plaque to commemorate their inclusion and a prize package. The prize package includes a $500 cash award as well as $250 for professional development and/or school supplies. Note: If you are having trouble viewing the form below, we recommend turning your device to landscape mode.